If you are like me and have a large amount of wood to cut each year for firewood then you may want to consider buying a professional chainsaw. A professional chainsaw will generally have a larger engine with more power, longer chain bar so that you can cut thicker/wider logs/trees with greater ease and reliable/sturdy construction so that you can keep it working for longer. Just because you are buying a pro chainsaw does not mean that you want to pay too much, right? Nobody likes paying for the wrong product at the wrong price, and the following information will help you to avoid any headaches. When considering price, weight, cubic capacity, user reviews, and overall effectiveness, the chainsaw we selected as the best one stands out from the crowd. And you’re about to learn all about it! 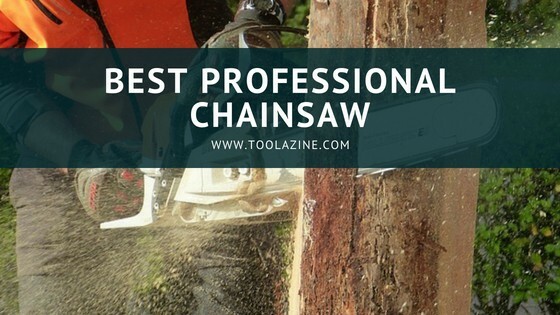 What is the best professional chainsaw to buy? Compared to every other chainsaw we researched, this model has the best performance and deserves the top pick on our list. As you can see, it has the highest price, but as they say, you get what you pay for, and the quality speaks for itself. Makita is one of the best manufacturers in the world, and this model is the peak in their effort to create a great machine. It has a very powerful 50 cc engine and comes with a sleek modern design. This design allows for simple and straightforward use. It is also easy to start, it’s power coming at the push of a button. This Makita has all the latest features, including great safety attributes. The maximum speed of the engine is 13,800 revolutions per minute, which is not only fast, but results in very efficient cutting. It is also easy to clean due to its compact modern design. The fuel tank has a capacity of 15.9 oz. and the oil tank is a bit smaller, with a capacity of 9.1 oz. The Makita EA5000PRGG is well built, producing 2.9 Kw of power. The standard guide bar is 20’’, while the chain pitch (the distance between the drive lugs on the chain that determines which types of chain will fit the sprocket on the saw) is 3/8’’. Without the bar and the chain, the net weight of this Makita is 11.9 lbs. Admittedly, this chainsaw has its disadvantages. The obvious one being its price. Another possible issue is its dimensions. The bigger size and weight of this Makita might not be as efficient for jobs that require many hours of chopping or pruning smaller branches, for example. You’ll have to determine if the power of a big chainsaw such as this one will meet your specific needs. 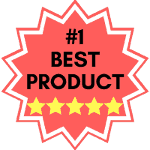 Even so, the truth is this 5-star rated product maintains our #1 spot for a reason. The good outweighs any possible issue, leading us to the conclusion that the Makita EA5000PRGG is the best overall professional chainsaw on the market. Check the current price here on Amazon. Think about all those times you’ve spent struggling just to get a chainsaw started. Annoying, isn’t it? If you’re seeking a reliable and easy-to-start machine that satisfies every time, then look no further! The Echo CS-310 14” is a pull-start design that is easy to get going, mainly, because of the i30 starting system installed. It only requires a couple pulls to start, resulting in far fewer attempts than other chainsaws. This solid gas-powered saw was an easy addition to our Best Of series, and is a great tool for every household. The bar is strong enough to fell trees, and thanks to its 14” size, effortlessly storable in your garage or shed. The 30.5cc engine is powerful enough to cut most types of wood. The cool thing is that it only weighs 8 pounds, making it even easier to use. But remember: Since the design is made out of aluminum and plastic, it’s possible it may bend, so use a bit of caution. In order to keep your chainsaw in shape and functioning properly, be sure to service it either manually or by a licensed store. Fortunately, the company is expansive and has stores all around the world, which will make it simple to find one in your area if you require any assistance. In short, this light-weighted machine is super easy to start and use. It is suitable for both new and experienced operators, with guarantees to leave users satisfied. With great customer ratings, and our own 4 out of 5 review, the Echo CS 310-14 is one of the best affordable chainsaws on the market. Check current price here on Amazon. 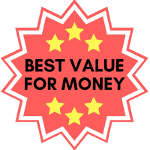 Is your top priority getting the best value for your hard-earned money? If the answer is yes, we have just the machine for you. For about $220, you can own one of the best chainsaws manufactured. It joins our Best Of series for its outstanding specifications, including a powerful 51cc engine, an 18” bar, and an overall great design. The Remington Rodeo RM5118R is a very durable chainsaw and a dream chainsaw for many professional chainsaw operators, probably because it is very easy to use. You may be wondering how is that possible when this machine weighs more than many others. This is because handles have anti-vibration technology that means that it is easier to use and you can use it for longer without getting as tired. The electric ignition provides a quick-starting chainsaw that can be used in various weather conditions. For those of you concerned about safety, you’ll be happy to know that the Remington Rodeo RM5118R has a maximum safety rating. In fact, if you ever lose control over the machine, there is an automatic chain brake activation to help prevent injuries. We gave it a rating of 3.5 stars. Customer feedback for this model is also great, more than one-half of the buyers rate this model very highly, so check it before making your pick. For a cheap price, you can get a great machine that is the best chainsaw you can find for the money. The Remington Rodeo RM5118R is well worth checking out. What are you waiting for? Looking for the best gas-powered professional chainsaws for under $200? Say no more! Poulan Pro PP5020AV – it is a great budget price gas powered chainsaw. The brand may sound unfamiliar, but the company is actually owned by the famous Husqvarna with many elements contained in their products. This model has a 50cc engine, a clean air filter system, and an automatic chain oiler. It is a great choice for every household, and you can’t beat that quality for the price! Husqvarna 240 – This model may not be as powerful as the previous choice, running on a 38cc engine, but it makes up for it for in cost-worthy efficiency for smaller tasks. The easy-to-use chainsaw has a combined control choke-stop, a feature that many users love about this design. In this section, we will include specifications and reviews of the best professional, heavy-duty gas-powered chainsaws, so you will be able to notice the advantages and disadvantages of each model and find your favorite. Using this information you should b e able to determine what the best professional chainsaw to buy is. Still not convinced? The Makita has all the latest features, including great safety attributes. The maximum speed of the engine is 13,800 revolutions per minute, which is not only fast, but results in very efficient cutting. It is also easy to clean due to its compact modern design. The fuel tank has a capacity of 15.9 oz. and the oil tank is a bit smaller, with a capacity of 9.1 oz. 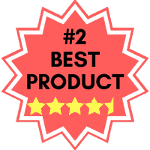 Even so, the truth is this 5-star rated product maintains our #1 spot for a reason. The good outweighs any possible issue, leading us to the conclusion that the Makita EA5000PRGG is the best overall professional chainsaw on the market. Buy the Makita EA5000PRGG here. In short, this light-weighted machine is super easy to start and use. It is suitable for both new and experienced operators, with guarantees to leave users satisfied. With great customer ratings, and our own 4 out of 5 review, the Echo CS 310-14is one of the best affordable chainsaws on the market. Buy the Echo CS 310-14 here. Whether you’re an experienced chainsaw user or someone who has never held one in their hands, we guarantee you have heard of the Husqvarna brand. As one of the top power tool manufacturers in the world, producing high-quality chainsaws is their specialty. This fuel-efficient model earns its spot on our list with a 16” bar and efficient starting ability. 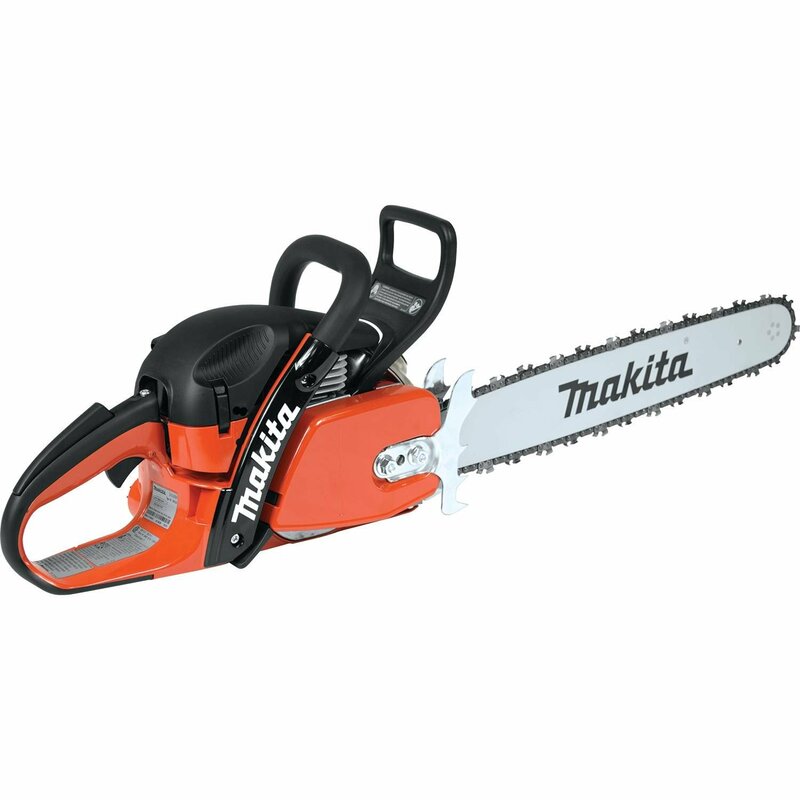 With a 38.2cc engine, this model has a bit less power than some other professional chainsaws. It is also a bit loud. The Husqvarna 240 is much smaller compared to other engines that have the same power. Ever wondered why that’s beneficial? Small engines mean one thing: less vibration, allowing for an easy to handle machine when in use. Another special feature of this model relates to the kickback. While like other machines there is always a risk of kickback, this chainsaw will prevent injuries in case a kickback does occur. But wait, there’s more! With regular maintenance, this model will last longer and won’t require additional servicing. It also comes with a chains-sizing tool that will allow you to tighten or loosen and you can adjust the chain as you like. The engine causes it to weigh a bit more than the previous model. This chainsaw is designed for both firewood and basic cleanup jobs. We have given the Husqvarna 240 a rating of 4 out of 5 stars. The Husqvarna 240 also has an unbeatable cheap price especially considering the quality. It is also a fuel-efficient machine. This could be a great choice for a moderate use buyer! Buy the Husqvarna 240 here. Are you a rancher, farmer, or simply in need of a powerful machine made for bigger jobs such as sawing logs? We’ve got just the beast chainsaw for you. This Craftsman model is a great tool for solving the hardest cutting duties you can imagine. The 42cc engine might require more fuel to tackle big trees, but this machine makes cutting trees as simple as cutting through butter. Honestly, owning a powerful machine like this does have a few downfalls. For one, the Craftsman 42BY429S799 is loud and is capable of going up to 90 decibels. Operators also need to be aware of the kickback issue bigger chainsaws have. Fortunately, this Craftsman has more than one feature to help prevent kickback, such as the hands protection and chain brake activation. The model’s chain catcher offers greater prevention when a chain brakes, which is a common issue amongst large chainsaws. There’s nothing more frustrating than being unable to find a licensed store to help service a product. Fortunately, this Craftsman model comes in a case containing tools provided for maintenance. You also receive a manual to give you brief explanations to help maintain the functioning of your machine. In conclusion, this model contains a big, loud engine, with an 18” bar there are few projects big enough to stop it in its path. With a mid range price, the Craftsman 41BY429S799, is one of the best chainsaw for bigger jobs you can find. Buy the Craftsman 42BY429S799 here. Is your top priority getting the best value for your hard-earned money? If the answer is yes, we have just the machine for you. With under $250 in your pocket, you can own one of the best chainsaws ever made. It joins our Best Of series for its outstanding specifications, including a powerful 51cc engine, an 18” bar, and an overall great design. The Remington Rodeo RM5118R s a very durable chainsaw and a dream machine for many professional chainsaw operators, especially because it is very easy to use. You may be asking how a chainsaw that weighs more than some of the other designs can be so efficient. It’s simple: the handles contain anti-vibration technology that prolongs use with ease. The electric ignition provides a quick-starting chainsaw that can be used in various weather conditions. For those of you concerned about safety, you’ll be happy to know that the Remington Rodeo RM5118R has a maximum safety rating. In fact, if you ever lose control over the machine, there is an automatic chain brake activation to help prevent injuries. This model can handle every type of wood without problems, which is why is one of the best chainsaws available on the market. It has a rating of 3.5 stars. For a fairly cheap price, you can get a great machine that is the best chainsaw you can find for the money. What are you waiting for? Buy the Remington Rodeo RM5118R here. True enough, a few of the models mentioned in our Best Of series are pricier because of the famous brand manufacturers attached to the products. However, cheaper, quality chainsaws are available to fit your budget needs. If you’re looking for a chainsaw that is less expensive and contains many of the same features as some those popular companies, look no further than the Poulan Pro PP4218A. This machine is manufactured from one of the first companies focused on outdoor equipment. While it is great for taking on big jobs, one of its biggest disadvantages is the vibration. This can make it difficult to use the chainsaw over a long period of time, and this model does not have any anti-vibration features. It weighs about 12lbs and runs on a 40cc engine, so it could tire you out a lot more quickly than some other models. There’s always a way to get creative when facing these types of issues, though. Gloves could work as a substitution for the missing anti-vibration feature. Even with its disadvantages, this model is made for cutting big logs quickly and efficiently, and has pretty much all the features you need. Still need to be convinced? The Poulan Pro PP4218A, unlike any other chainsaw, provides you with a spare chain. This will save you a service trip and will allow you to continue working, saving time and money. It also comes with extra accessories, such as sharpening tools, engine oil, and a case for transporting your machine. All in all, Poulan Pro PP4218A is a pretty good chainsaw for the price, ringing up at well under $200. We have given it a 3.5-star rating. If you’re needing a heavy-duty chainsaw that won’t break the bank, this model is for you. Buy the Poulan Pro PP4218A here. Echo products are some of the best out there, which is why another model made it onto our Best Of list. The Echo CS-400 comes with an 18” bar and is essential for jobs such as fuss-free cutting. It weighs a bit more than 10 pounds with a 40cc engine. If you’re looking for some lighter cutting, this model is perfect for you! This model also has an i30 system, which will start your machine almost instantly. Another great quality is that it isn’t loud, so you don’t have to worry about those pesky complaints from neighbors that you’re making too much noise. The one issue that might come into play is that the chain needs to be adjusted regularly which could make for a complex process. However, the Echo CS-400 has proven to be one of the most durable machines out there. With a machine that has easy handling and operation, as well as great durability, what more could you ask for? At a price tag under $300, you will receive a great quality chainsaw from one of the best manufacturers. If you’re looking for a 4-star professional chainsaw, this is the model for you! Buy the Echo CS-400 here. Are you looking for a versatile machine that’s perfect for on and off use? The Echo CS-490 just might be the one! From wood cutting to trimming, the 50.2 cc engine is a powerful machine combined with an air-cooling system, making it safe to operate for long periods of time. The engine won’t shut down due to overheating and the 20” bar is able to saw through almost any type of wood quickly. Need a bit more convincing? This model is reported by users to be up to 40% faster than most models in this category. 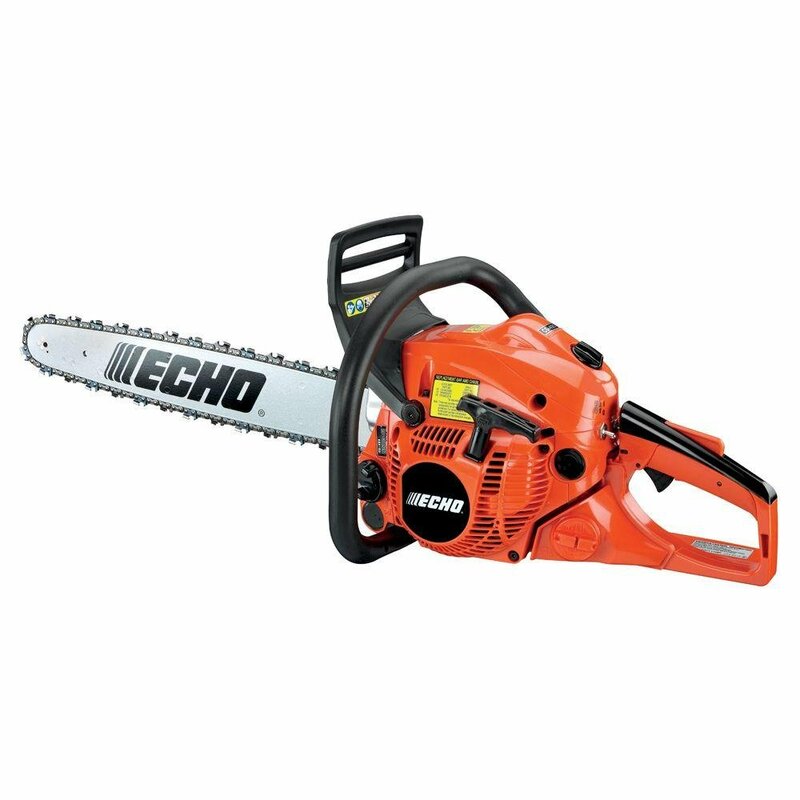 While it doesn’t start as quickly and quietly as the previous Echo models, you can get it started with only a few pulls, which is great for a gas-powered chainsaw. The Echo CS-490 is a compact lightweight model that is easy to handle. Weighing only 18.7 pounds, you’ll be able to use this machine for hours without getting tired. It is also fuel-efficient and does not leak oil. It is simply one of the best choice of machine for the price. At under $300, this model offers a versatile chainsaw that we have given a rating of 4.4 out of 5 stars. The only complaint we’ve seen is related to its reliability, but the good seems to definitely outweigh the bad for what this machine has to offer. Buy the Echo CS- 490 here. The Hitachi CS51EAP offers a great performance at a real price. With a 50.1cc engine and 20” chain, this machine can handle almost any job. This model, in comparison to other chainsaws with similar engines, uses less fuel and starts quickly in various weather conditions. This model allows you to access the air filter without tools, making the chain replacement process seemingly effortless. This product features anti-vibration that eases its handling while reducing the pressure on your arms resulting in hours of efficient use. This professional chainsaw is perfect for big jobs such as felling large trees. It is a 17.6-pound lightweight machine that still carries enough power for any task. Now, don’t let the 3.5-star rating change your mind: this is the real deal. Remember how we brought up the adage that you get what you pay for? This applies perfectly to this machine as the price of under $300 is fair for the tool you get. There is a reason why this beast ended up on our list! Here’s the best part: besides having an easy start up, the Hitachi CS51EAP has safety features like the brake handle. Maintenance is simple and not time-consuming. Servicing your products is always a necessity when you want to prolong the life of your chainsaw, and this one has a 7-year consumer guarantee. It all boils down to this: if you’re looking for one of the best professional chainsaws for heavy duty jobs with easy operation and maintenance with a real price that is worth every cent, this Hitachi is the ideal machine for you! Buy the Hitachi CS51EAP here. Not everyone can afford the high-profiled machines out there, and there’s nothing wrong with that! In fact, it’s not hard to find a high-quality product that meets all your needs. The Poulan Pro PP5020AV (a company owned by Husqvarna) has a 50cc engine capable of heavy-duty tasks. At 10 pounds, it may not be the best choice for pruning, but it is powerful and capable of performing any task in front of you. We recommend anti-vibration gloves for many of these products, but they are not required for this particular machine as this model as the same anti-vibration system as Husqvarna, allowing for longer periods of use. The Poulan Pro PP5020AV has a 20” chain bar capable of various tasks, and it also comes in a hard-carrying case. This chainsaw is great for any homeowner looking for a quality product that fits within their budget. The 3.7 out of 5-star rating is proof enough of that! At around $200, and taking into consideration the quality features mentioned above, this product is worth every penny and definitely earned its spot on our list! Buy the Poulan Pro PP5020AV here. To expand our list, we had to include another model from the Husqvarna family. Many professionals prefer this brand over any other; ever wonder why? Husqvarna 460 is the peak of what this company has to offer, successfully producing one of the best professional chainsaws out there. The point? This is what they do. This is a machine that offers everything you need for tasks that require more power. With an incredible 60cc engine, combined with a 20” bar, every chainsaw user will be pleased to know that this product weighs only 13 pounds! It also comes with a 2-year warranty, ideal for any customer. Even with a large engine, this machine avoids vibration issues thanks to Husqvarna’s signature anti-vibration feature. Thanks to the air system, it is also easy to start in even the worst weather conditions. It is comfortable and easy to use, with both a choke and stop control fitted within its brilliant design. It also has a brake, preventing dangerous situations. Who can say no to that? The 4.5-star rating speaks for itself. It might be more expensive than the other models, worth in the $500 range, but you will absolutely not regret purchasing one of the best heavy-duty chainsaws available on the market! It is the clear runner up to the Makita EA5000PRGG. as the best overall professional chainsaw. So what are you waiting for? Buy it on Amazon here. Are you still looking for your favorite model? If you are willing to spend a bit more for a chainsaw that has all the features you need and will last a long time, than you must take a look at this model. The Makita DCS6421RFG is a combination of high power-to-weight ratio, it has an engine of 64 cc and weighs 13.9 pounds, including the chain. The engine has 4.7 HP and engine speed of amazing 13.500 RPM. What activities can you use this for? Forestry work, like felling and stripping trees are ideal for this model. Now, let’s continue to the features that make this model so different from others. It has an automatic half-throttle lock, which guarantees easy engine starting. When we talk about chain maintenance, it is crucial to mention that the chain department is made very easy for cleaning and efficiently clears the chips. If you want to use your tool in extremely cold weather, you just simply need to configure the slide out baffle and you will notice how efficient this machine is. Makita also thought about increasing the usability, so you have a large spike bar made of metal to grip the wood so the chainsaw does not slip easily given the high power engine. Even though it has a feature for lowered vibration, that won’t be enough for this powerful machine, so you get a 2 point durable inertia as well as a mechanical chain brake. In addition, you have a chain tensioning system for fast chain adjustment. You have all of this in just one machine- unbelievable, right? Every professional user needs to consider this model as it has so many great features and our rating for it would be 4.2 stars. The only negative thing we would say about it is its price, that goes way above the $500 mark. However, that shouldn’t worry you, as this durable chainsaw is worth every cent of its price. I know what your thinking. Come on, didn’t they finish with Makita models? No, we are not over yet as this manufacturer has so many great models that we can’t miss this one. The previous was also great, what makes it this special? Let’s start with the engine first, it has a 79 cc engine with a power output of 5.7 HP. What is the maximum speed of this engine? It can get up to 12800 RPM. Plus, it weighs only 14.7 pounds which is really nice for a powerful machine that this is. This model is designed for heavy-duty tasks like tree felling and bucking. Now, let’s proceed to the features, as you can see some of them will be similar to the previous Makita model. The starting is easy thanks to the automatic throttle lock and you can clean the chain compartment easily. We can’t forget the chain-tensioning system that makes chain adjusting a very simple process. You can operate with it even in freezing cold weather conditions and it has a 2 point inertia and mechanical brake. The Usability is boosted with the metal spike bar and it has a special system for lowering the vibration. What is different in this model is the air-filter. The Makita EA7900PRZ1 has a heavy-duty air filter for extended life, but also improved durability. You can use a chain bar between 20” and 24”, depending on your needs. We rate this model with a 4.2 out of 5 stars and the only negative thing we can say about it – is its price. It is even more expensive than the previous Makita model, but what you get for the money is really worth it. In the end, it is up to your personal choice to decide whether to buy this one, or go for another model. However, I am pretty sure that the features mentioned above are enough to motivate you to start saving up money for this one. You can buy the Makita EA7900PRZ1 here. We will now switch to another famous manufacturer and briefly explain the specifications of one of their greatest models. Looking for a machine for logging or large removals? This should be your pick. The great thing about this one is that you can use different sized chain bar, however, our recommendation would be a 28” bar, since this machine is designed for heavy-duty tasks. It has an engine of 74cc, with a power output of 9600 RPM. You should definitively take a look at the air injection system that removes dust and debris even before getting to the air filter. The X-Torq feature means lower fuel consumption and reducing the emissions. Plus, the replacement of the air filter is very simple and easy. The adjustable oil pump allows you to control the oil flow, according to the weather conditions. Like any other Husqvarna model, it has a combined stop-choke control, but there is an improvement in the grips. More precisely, the rear handle is put in a way that can offer maximum comfort and easy operation. It has a low vibration feature as well, so operating this 14.9 pounds won’t be a problem. The SmartStart technology has reached a point where you can start the machine with minimal effort. The cover is somewhat different, a snap-lock cover that saves you much time when changing spark plugs and cleaning as well. It has an ergonomic design and optimized saw body with well-protected controls. We can’t forget the inertia chain brake which drastically decreases the risk of kickback and possible injuries. All in all, this is one of the best picks a professional chainsaw user can make, of course, if he has the budget for it. This model has a price of over $1000, which is its only negative thing. Our rating for it will be 4.4 stars. Check out a comparison of the Husqvarna 460 Rancher vs Husqvarna 576XP . Or you can just buy the Husqvarna Model 576XP here. Have you have gone through every model, but still didn’t find one you like? If the answer to this question is yes, just take a look at this. You will simply fall in love with this machine. To round our list, we will include one more Husqvarna model. It is not very different from the classic Husqvarna 460 model, however, it is better in some aspects. To start off, it has the same engine as the classic 460 Rancher – 60cc engine with a power output of 3.62HP. The 2 cycle engine is combined with a chain bar of 24” and capable of many heavy-duty tasks. This model has an inertia chain brake and weighs about 21 pounds, which is almost double than the regular model. To increase the safety, Husqvarna included a low vibration feature that not just that keeps you safe, bu also adds comfort when operating with it. The starting is easy, thanks to the Smart Start feature that starts the engine almost instantly with minimal effort. The chain tensioner is mounted from the side for easy access. Is that all? Of course not. This model has a quick release air filter which is easy to clean or replace. It is a very durable machine, so we can say that it is made for the toughest applications. It is also CARB-compilant and a number one pick for many professional operators. It has a combined stop/choke control, as well as better front grip that reduces fatigue. If you are willing to spend about several hundred dollars for a quality and durable chainsaw, then this may be the right model for you. Considering everything mentioned above, it is definitively worth the price. Our rating for this one would be 4.4. stars. You can buy the Husqvarna 460 Rancher here. It is very hard to pick one of all those chainsaws shown. As we mentioned, you should find a chainsaw according to your needs and of course, your budget. All the chainsaws given above are great quality machines, made for heavy duties. Although the choice is personal, our pick would be the MAKITA EA500P53G. Combining every factor, from price and engine power, up to weight and rating, this Makita model is our favorite with the runner up being the Husqvarna 460. These two chainsaws are high power quality pro chainsaws that can handle almost anything. The most popular chainsaw among all of these great chainsaws, is the Husqvarna 240. We have given it 3.7 out of 5 stars. It is one of the most popular chainsaws available on the market now. Though it is not the best in terms of features it has a mid price and is built by a well known and respected brand renowned for quality. Though this saw is popular it is not our recommendation as the best professional chainsaw as it is a bit under powered for larger jobs. If you like the Husqvarna brand and want a more professional chainsaw we recommend the Husqvarna 460. This is more powerful than the Husqvarna 240 and similar to the Makita EA500PRGG. Use – what are you going to use the chainsaw for? Cutting big trees, or shaping your bushes in the garden? Size – this is mostly defined by the use, so chainsaws come in different dimensions. If you buy an undersized & underpowered saw you will have trouble getting through larger trees or pieces of wood. Price – how much are you willing to spend on a machine like this and does your budget fit your needs? It is hard to find a professional chainsaw that meets your needs if you don’t know why you need it and what you will use the chainsaw for. According to this, make sure you have a clear idea about the reason why you want to buy a chainsaw, as well as how often you are going to use it. However, as you can see, there are several types of chainsaws and here we will explain every one of them, so you can get an idea of what type of machine you should be looking for that will meet your requirements. If you are going to be using the chainsaw a lot, then you will need a professional one and you should accept a higher price to match the higher quality, better reliability and greater durability. If you only need a chainsaw for home use, and will not use it as frequently then you may be willing to sacrifice some aspects of quality in order to get a cheaper price. We can divide chainsaws into four categories and have given a brief description of each of them. Gas powered – most professional chainsaws users prefer gas chainsaws, of course there is a reason for that as gas chainsaws offer faster cutting, which requires less pressure and easier cutting. But this type of chainsaws is heavier, create much noise and are not so easy to use. If you opt for this type, be aware that the price varies from $180 up to $1000+. Corded electric – electric chainsaws have a plugin cord, so you will need to an electric power source. With these electric corded saws, you just push a button in order to start them. However, this type is not very effective for professional use – electric chainsaws are smaller, weigh less than gas-powered, but are limited in the activities you can perform. Normally, they cost less, and the price may range from $70 to $300. Cordless electric – as the title says, this type doesn’t have a cord and run on batteries instead. They can be more costly than other types, but are slower and designed for lighter duties. The price starts from $200, and goes up to $400. These are not recommended for professional use and are more suited to small jobs around the house or when camping with a vehicle (e.g. for cutting fire wood). Electric loppers – if you don’t want to spend much on a chainsaw, you only want to use it for small jobs, but you want to have one, this type is perfect for you. Some also come with an extension pole so that you can reach & cut higher up places without climbing or using a ladder. It is created for light duty sawing, it is easy to use and has the lowest prices, starting form $75 and up to $120. To sum up, electric chainsaws are good solution if you want to use your chainsaw from time to time. They are lighter and compact compared to gas powered chainsaws, and cost less. However, our recommendation would be going with a gas chainsaw. They main reason for that is that we are trying to find the best chainsaws for heavy duty use, or more professional use. Electric chainsaws cannot provide that, so for faster and easier cutting, you should definitively choose the gas powered chainsaws, as the best type available for professional use. They are more powerful, you can take them anywhere and have bigger cutting bar, so you will be able to cut anything, even largest trees. Since we know what the best type of chainsaw is, let’s continue to the different sizes of chainsaws. Chainsaws come in many different sizes and the size you should choose is determined on the tasks you are planning with your chainsaw. This means, you can’t chop trees with a chainsaw made for trimming, or otherwise. So, consider the usage of the chainsaw and proceed to the table in order to check the size according to the activity you want to perform with your tool. Power source This is basically the size of the engine and in gas powered chainsaws it is measured in cubic centimeters, or shortened, cc. When you check the specifications and see bigger cc number, you should know two things – the machine is more powerful, but also usually it weighs more. Electric chainsaws have amperage as a measurement for power, while the battery powered ones, use volts as measurement. Since we are talking about professional chainsaws, the power source for them depends on which activities are being done. More detail information about this exact situation are shown below in the table. Knowing all of this, it is time to pick a chainsaw. But how to choose the best chainsaw for you? What is the best machine that can satisfy all your needs? Find out in the next paragraph. First of all, you need to know the purpose of owning a chainsaw. There is a huge difference between chainsaw used for light cutting several times in a year and everyday wood cutting chainsaw. The first case allows you getting an electric machine, but the second one requires a gas powered one. Next, the experience you have with using a chainsaw is crucial. If it is the first time you are using, it is better to start with something smaller, smaller chain bar will help you accomplish your goals more easily. When you get used to the machine, you will be able to use a bigger one. Another thing you should consider is how often will you use the chainsaw. If you use it regularly, gas powered one is the right choice for you, otherwise our suggestion would be an electric chainsaw. However, you should also consider the what time of the year will you use the machine, the diameter of the wood, as well as safety features. Let’s continue to the key specifications that are most important when buying a chainsaw. The length of the bar is showing the largest wood size the chainsaw can cut in a single pass. This doesn’t mean that you can’t cut woods with smaller chainsaws, but means that you will need more than one pass. It is recommended the length of the bar to be about 2’’ longer than the wood you intend to cut. For lighter duties, a 14’’ bar is quite good choice, but if you want a professional chainsaw, the length of the bar should be between 22’’ and 36’’. Bigger bar results with harder handling, as the chainsaw is heavier and it is hard to balance it. When cutting, you may face troubles like kickback. This term refers to a situation, when the tip of the chain bar hits another object. It can simply be described as sudden change in direction. Another cause of kickback can be when the bar is pinched by the wood on a side of the guide bar, which may result with a fast reverse of the chainsaw, which is why operating with a chainsaw is a process that need to be done very carefully. In order to avoid kickback, make sure you are not touching the bar to the ground, or other logs. As we mentioned before, different types of chainsaws, have different measurements for engine power. When choosing a chainsaw, consider what are you going to use it for, different activities require different engine power, but if you are a beginner, do not opt for bigger power, as it will be hard to operate with it and can easily lead to an injury. In this paragraph, we will show you additional features you should consider. Operating with a chainsaw isn’t as easy as it looks, so it requires much attention. All of this gear, reduces the possibility of getting injured. Of course, once you acquire experience you will be aware of possible injuries and will know how to evade them. When we talk about other considerations, the level of your personal strength really matters. It may look like operating a chainsaw is very easy, but actually handling and holding it depends on your fitness level. You shouldn’t underestimate this powerful machine, and check your fitness level before taking a chainsaw in your hands. Remember that you will be exhausted after using the machine for a while, so don’t go for too heavy chainsaws if you are still not fit enough for it. Safety comes on first place when using this machine, so learn how to protect yourself and prevent any risky situations. Your boots should protect your feet from any dangerous objects near you, as well as gloves designed to keep your hands from any hazardous materials and reduce the risk of slipping. Head protection is also crucial, which is why you must have a helmet, as well as safety glasses. Debris and dust can cause very serious problem to your health which is why you need to protect your head and face. Lastly, do not forget about the trousers – they come in many varieties but are very important to protect your legs. You can also get chainsaw braces, and connect them to your trousers to get maximum safety. Here are some our recommendations for safety gear, that you should definitively take a look at. Glasses are also an important part of your safety gear, and the good thing is that you can find them for as low as $10. In the previous paragraph, we talked about the importance of safety when using a chainsaw, so we will skip that part here. You must use safety gear as operating a chainsaw may be very dangerous. In order to learn how to use a chainsaw, proceed to this part. Take a look at the environment before you start cutting. Check every side, like a clear path for the tree to fall, think of the risk before even taking the chainsaw in your hands. If you start sawing, there is no way back and you may damage something near the area you are cutting. We can divide all chainsaw activities in three groups – limbing, bucking and felling. Limbing is a process of removing branches from tree that is downed, bucking means cutting the trunk of the downed tree to length, while felling is cutting a tree and forcing it to fall into desired place. Regardless of what type of sawing you are going to perform, here is what you should do. Firewood is usually measured by the “cord”. Do you know what is a cord or firewood? First, check if everything is fine, your chainsaw isn’t damaged, and the chainsaw is going to function properly. Check the reservoir, so it is filled and it won’t leave you in the middle of your task. These advices may seem funny, but it is very important as it may cause damage to the chainsaw, but also to the operator. Next, choose your method of starting the saw, between your legs or on the ground. Every model is different, but check the chain brake, it has to be engaged and the choke is closed. The chainsaw is placed on ground, so you will need to grip the handlebar with your left hand and pull the starter rope with your right hand. You will need to pull several times, but the saw will pop, not start. Then disengage the choke, pull the rope and the chainsaw will start. Place the chainsaw rear against your right leg, tilt in towards right, and push it with your other leg. From here, use the same procedure as in the previous case. You have started the chainsaw, now how to handle it? It all starts with your feet, you need a good balance and body position. Use both hands, hold the front handle tightly. We also talked about kickback, but how to deal with it? Is there any way to prevent it? Luckily, there is. Never ever start sawing with the tip of your bar and hold the chainsaw very tight, use both hands, make sure your chain is sharpened and you won’t experience this problem. But if your chainsaw is not as sharp as it should be, how to fix that? After using a chainsaw for a while, you may feel that the chainsaw blade goes hard through the wood, you need more pressure to use it, which can cause accidents. You do not want to use a dull blade, so here is how to sharpen it. First of all, you will need gloves and a filling kit, that can be easily found in almost every power equipment store. Once you have this, you will need to engage the chain brake so you can clamp the bar in a vice. The guide should be placed between the chain rivets, so the arrows will point towards the bar nose. If you follow the top plate cutter angle, you will notice that the rollers don’t let you go deep in the cutter side plate. With several strokes with file, you will make the cutter silver. When you finish with sharpening the cutters, flip the chainsaw so you can do that on the other side too. Using the depth tool, adjust the depth gauges height, because if you don’t do that, you will experience problems when sawing as the cutters won’t be able to get to the wood. That is how you sharpen your chainsaw. But, how often should you do this? It is recommended to do it on every fuel refill. Plus, stay away from dirt so your chainsaw won’t dull so quickly. When we talk about sharpening tools, use round file, flat file and a depth gauge guide, but stay away from the standard rattail file, as it will damage your cutters. Sharpening your chainsaw isn’t something you should be afraid of, but it is a process that should be regularly done in order to maintain proper function of your chainsaw. It is very probable that you will get the sharpening tools together with your machine, however, we will share with you some of the sharpening tools that have the best ratings on Amazon. As you can see they are not so cheap and mostly come together as ‘’sharpening kit”. Sharpening your chainsaw isn’t something you should be afraid of, but it is a process that should be regularly done in order to maintain proper function of your chainsaw. To conclude, in this review we tried to sum up pretty much everything, from chainsaw buying guide, through using tutorial, safety tips, up to comparison table of the best chainsaws. Our point was to help you find the best chainsaw for professional use, considering all the facts available. I really hope that with the info given in this article you will be able to find the right chainsaw, that will satisfy your needs. You can use this article as a guide, to find what you actually need and make the right pick. Whatever you choose, you won’t make a mistake, as all of the machines given in this text are great quality products from manufacturers that are leaders in the world of power tools, you just need to find the right one according to your needs and budget. Since we all know that making a choice is a difficult process, our suggestion would be to take a look at our best overall (MAKITA EA500PRGG) and best chainsaw for the money (Remington Rodeo RM5118R) models, as an easier way to find the best professional chainsaw.